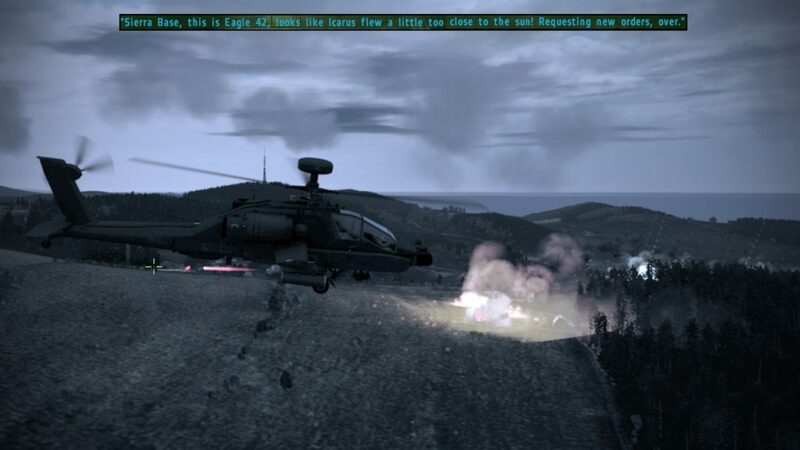 We take a look back at the bonus Arma 2 campaign: Eagle Wing – one of the most immersive and well constructed series of missions in the Arma series…. A reality about having somewhat limited gaming time is that I often have to prioritize what games and sims I play. 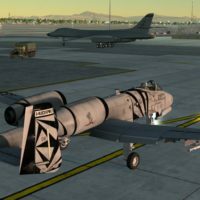 I find most of my time in recent years has been split between FSX/P3D, X-Plane, and DCS World. My Steam library would lead you to believe I have dozens of interests, but most of that library has never been installed, and rarely played. 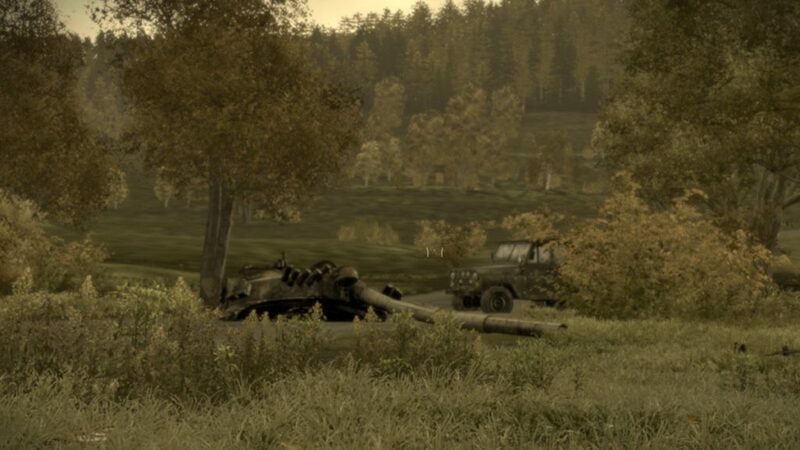 Which leads to some interesting moments, sometimes years after a game has been released, when I find a moment to dive in and play. 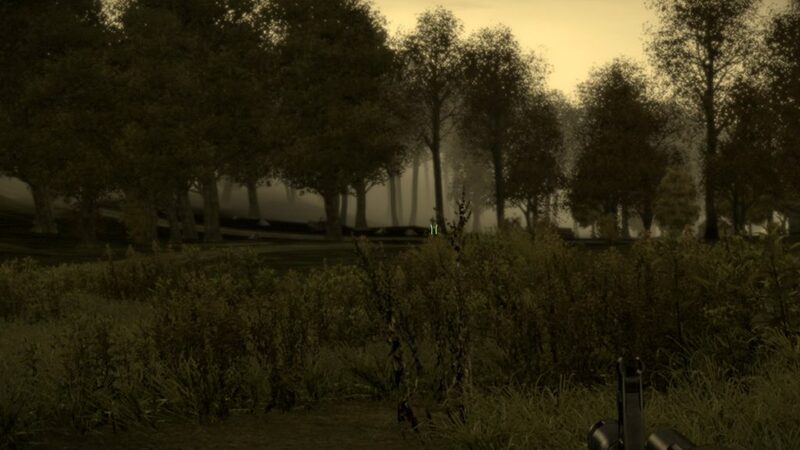 Games that others have played a decade ago are new experiences for me – and this is kind of nice for many reasons, not the least of which is that I’m still impressed by game engines and graphics that are ten years old! 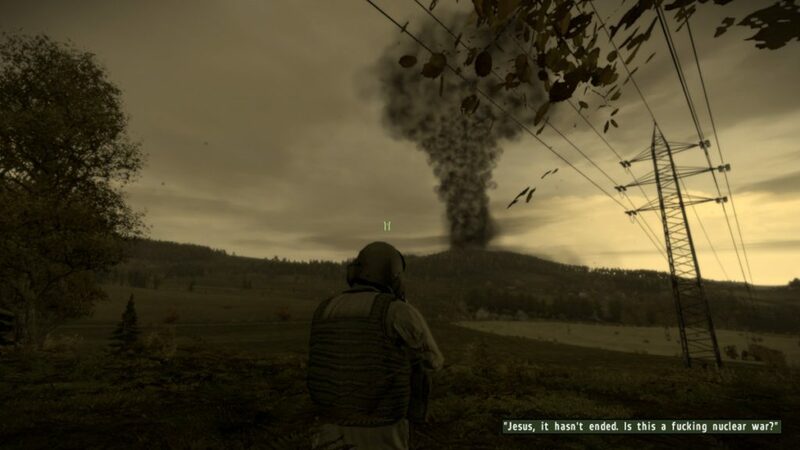 Such was the case last week when I opened up Arma 2 – a game that I played quite a bit of a couple of years ago, but only because I wanted to explore the third-party Apache and campaign Tarnished Gold. I wrote a series of AARs for that campaign: HERE. That campaign, and Nodunit and Franze’s Apache, was simply brilliant. 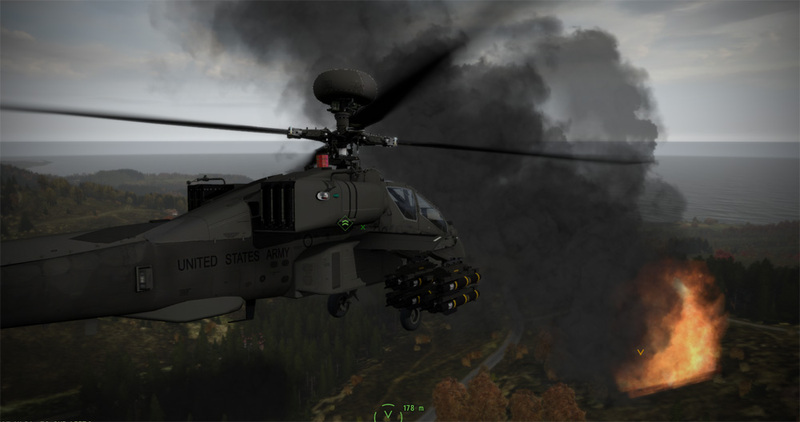 This time, I spotted the “EW” campaign (Eagle Wing) and decided to give it a go. 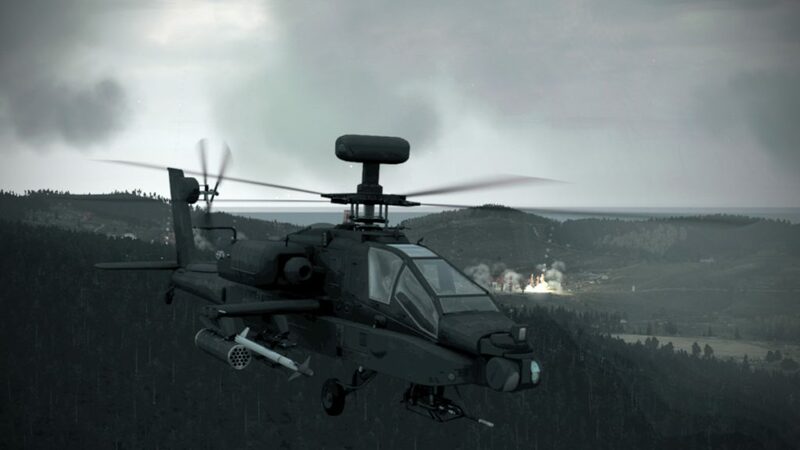 It utilizes a stock Apache instead of the more advanced third-party one, but it is less about the vehicles than the story – and what a story it is! Caution: EW Campaign spoilers below – do not read if you would rather not know the general outline of the campaign! 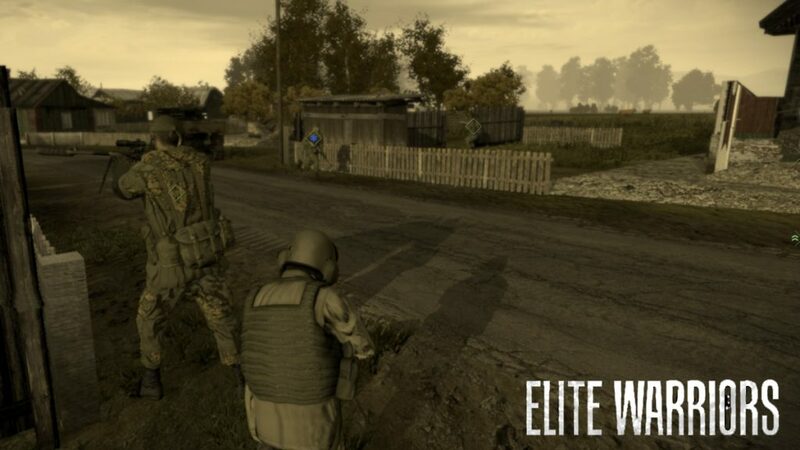 EW is an alternate story ending for the original Harvest Red campaign where you assume the role of pilot Lieutenant Ed Winters, flying for the United States in support of the Chernarus government. Opposing you are the ChDKZ insurgents, backed by the Russians. 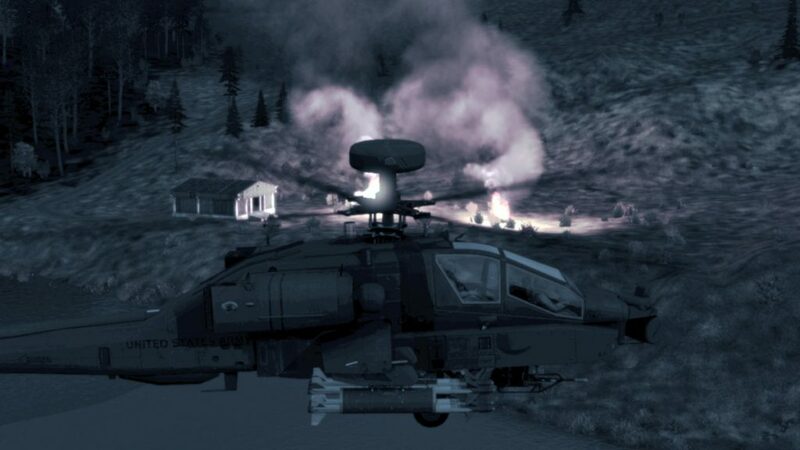 The campaign kicks off with you piloting your AH-64 Apache on a deep strike into ChDKZ territory to interdict some air assets at an enemy airfield. 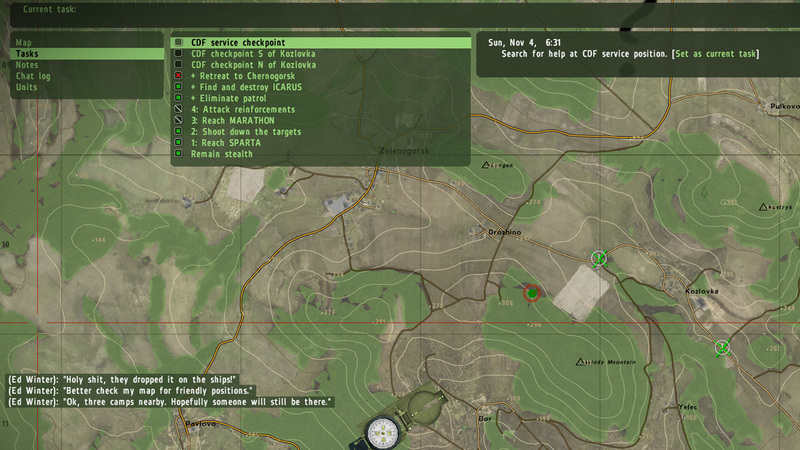 As is often the case, the briefings are very good, with nice maps and clear instructions on your objectives and tasks. 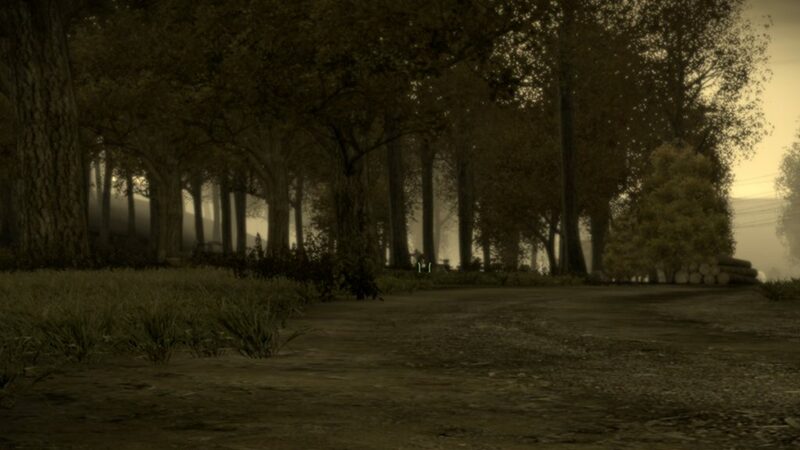 Even though A2 is going on eight years old, for those of us that don’t play an awful lot of games outside of our niches, the graphics and gameplay of A2 are still phenomenal. 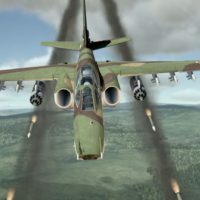 The added advantage to being a late adopter is that the hardware usually has made leaps and bounds, typically allowing for older games and sims to be run at maximum resolutions and graphics settings with smooth frame rates. 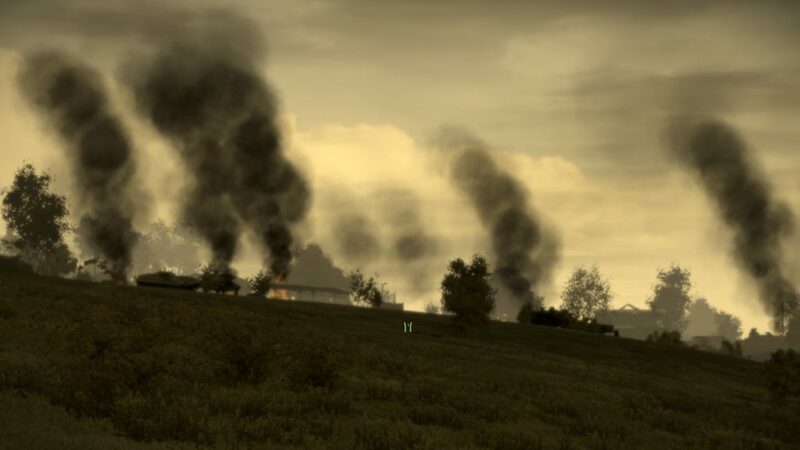 Even though I’ve dabbled a bit in Arma 3, it hasn’t spoiled me for being able to appreciate A2 (some people, however, cannot un-see progress). 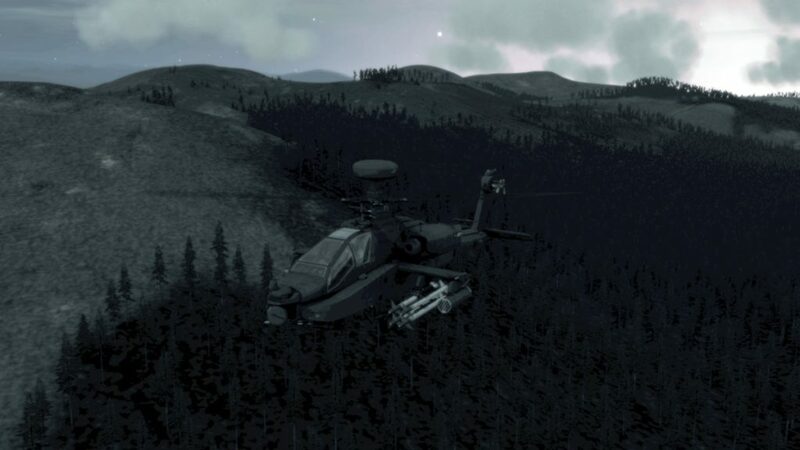 The penetration portion of the mission requires some low-level flight in the predawn hours, with subdued lighting and overcast skies. 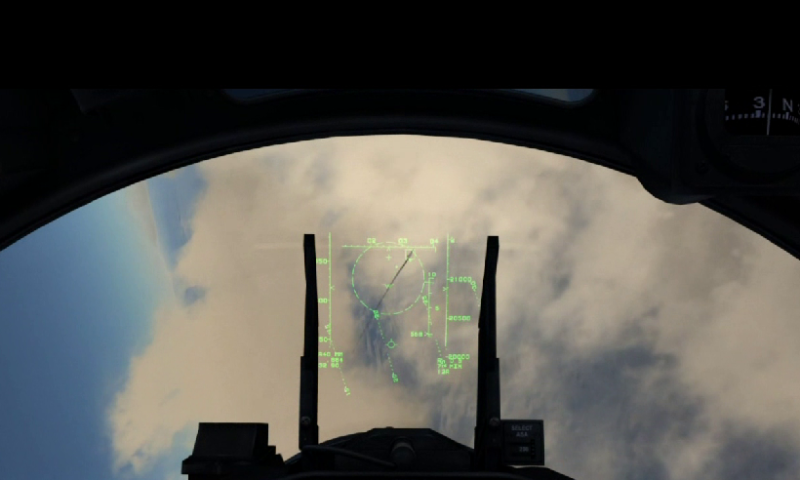 You’ll happen upon some action points, which are not particularly difficult to pass, and the interactions with your copilot and high command help flesh out the story and guide your actions. 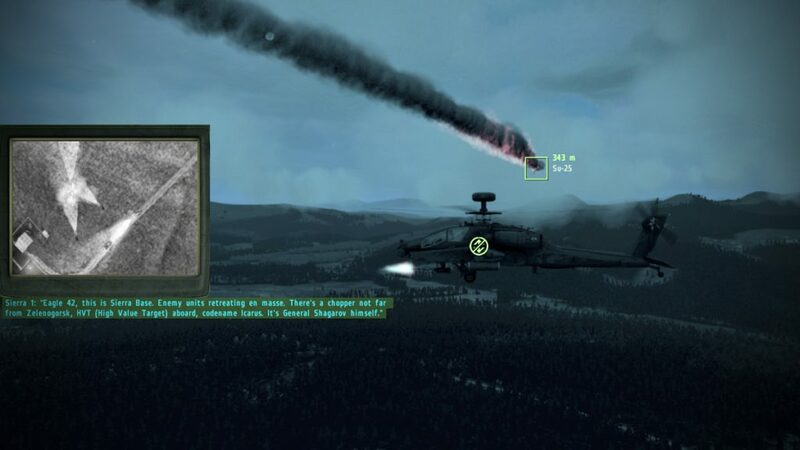 The cut-scenes, auto-saved phases, radio messages, and text overlays all work together superbly as the campaign (which is actually just a really long mission) evolves. 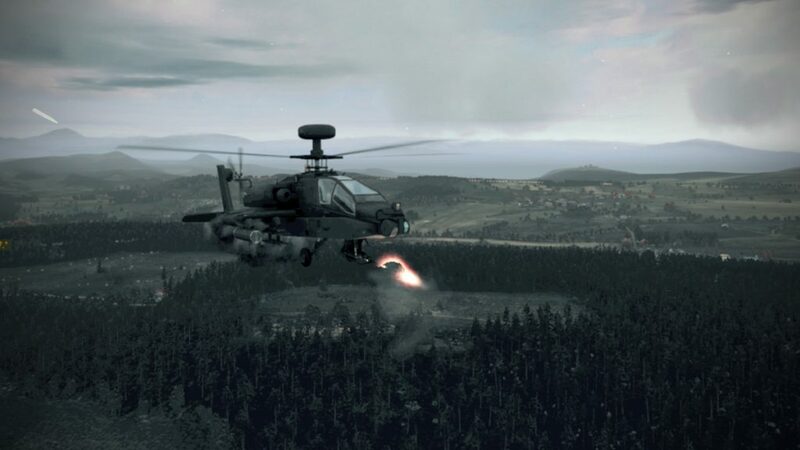 Each phase of the mission is creatively named with a new “EW” title: Eagle Wing, Electronic Warfare, Early Warning, etc., – an interesting thematic process that works well with the campaign design. 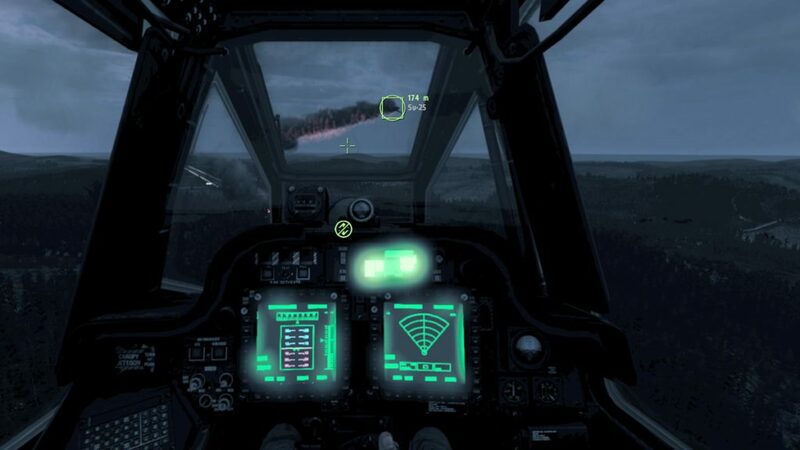 The helicopter portion of the mission is definitely the appetizer, whereas the second portion of the campaign is the meat and potatoes. 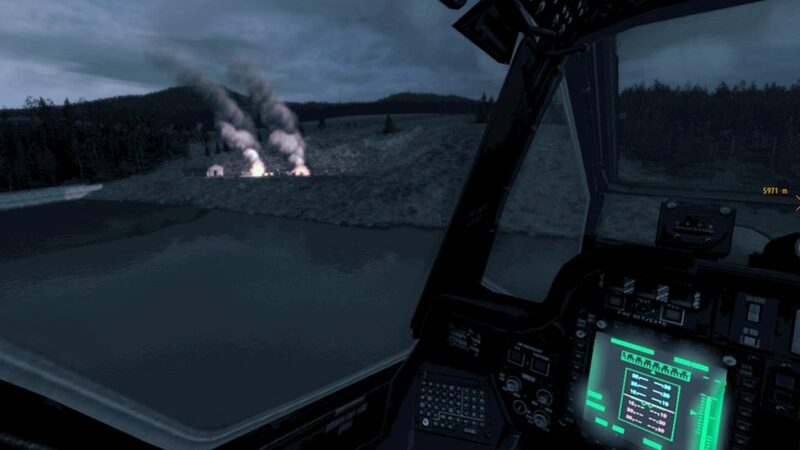 As you wrap up your primary mission, things take a dramatic turn of events as a nuclear device is detonated over the battlefield, crippling nearly every vehicle and causing your own helicopter to crash land in enemy territory. 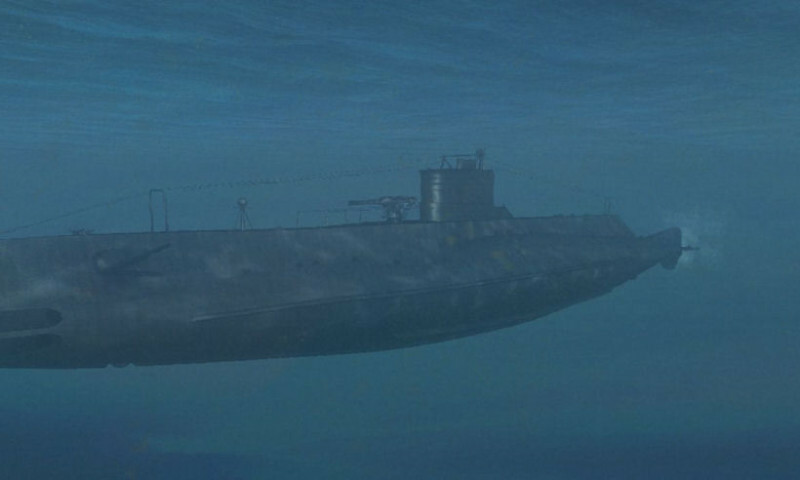 To this point, the campaign/mission is fairly constrained in that you are playing a part in script that most definitely gets you to this point with not a whole lot of leeway. 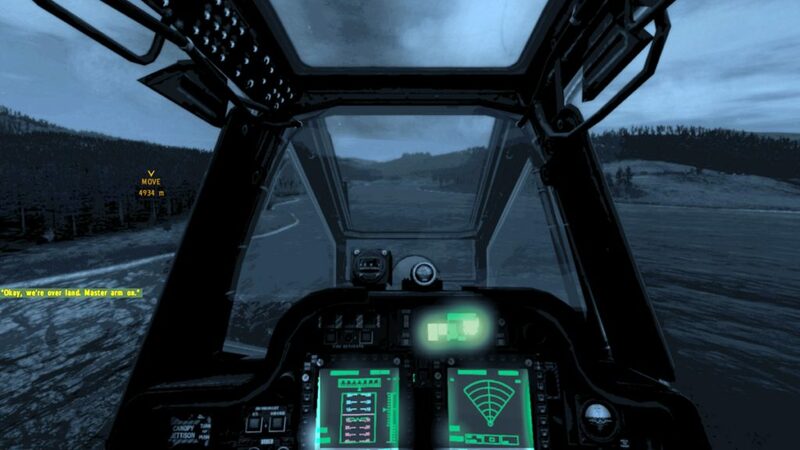 The second phase of the campaign, starting when you exit from your destroyed helicopter, is much more dynamic and “sandbox” feeling in that your mission goals are updated to allow for some general guidance, but you are given a lot of latitude in how you accomplish them. 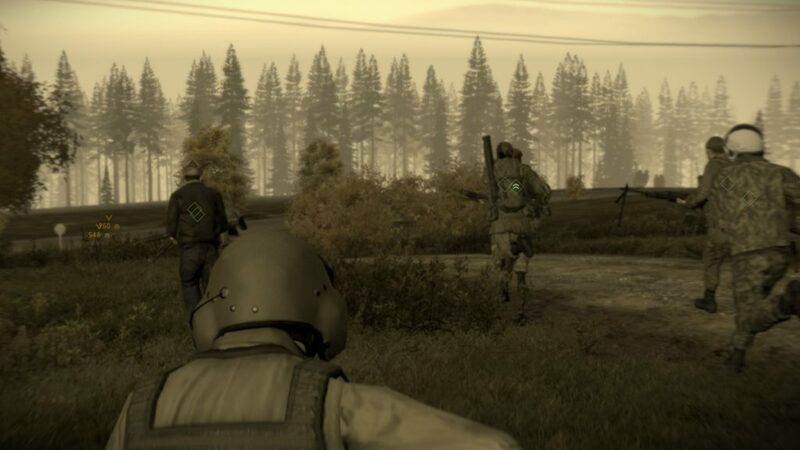 Undoubtedly, a more experienced Arma player would probably breeze through the land combat phase much quicker than I did, but I spent hours sneaking, strategizing, looting, and doing my best to stay alive under very lopsided odds. 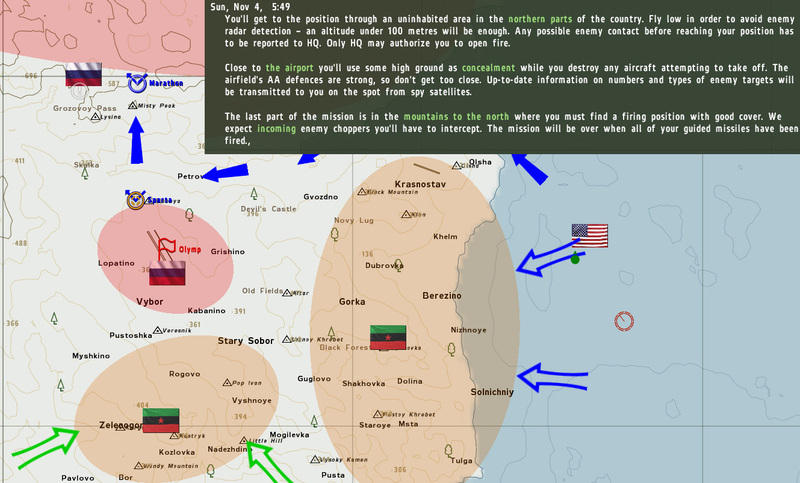 It is also at this point in the campaign where the entire tone of the mission shifts from a computer game to an almost operatic and weighty production that is hard to describe. 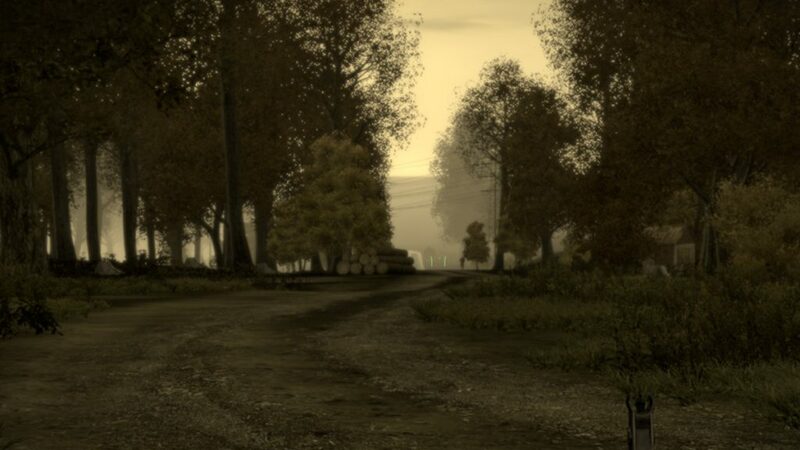 The sepia colors, the occasional rumbles from afar, the woods and fog, and destroyed units littering the area combine with a phenomenally touching piano score to really give the player a feeling of stark loneliness, depression, and uncertainty. 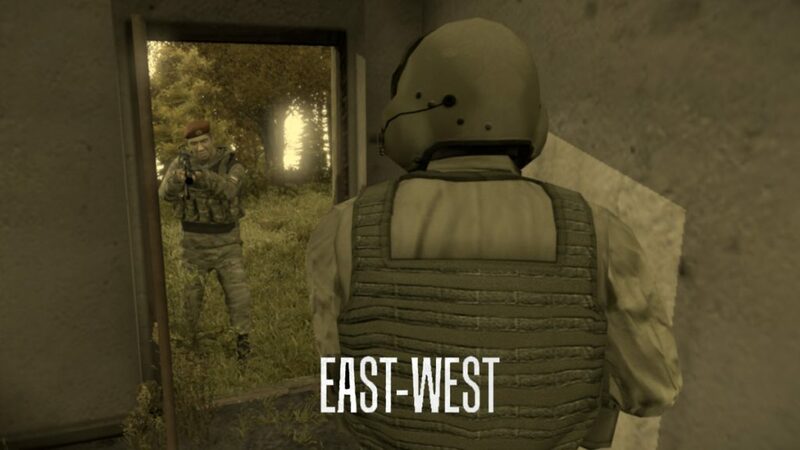 It is a masterpiece of dramatic production of the type that is always appreciated when it is encountered in a game. The appeal to me of the campaign is the solitary nature of it during the first phases of the ground portion. You are a lost soul, surrounded by the enemy, and you must carefully attrit the enemy with limited weaponry. 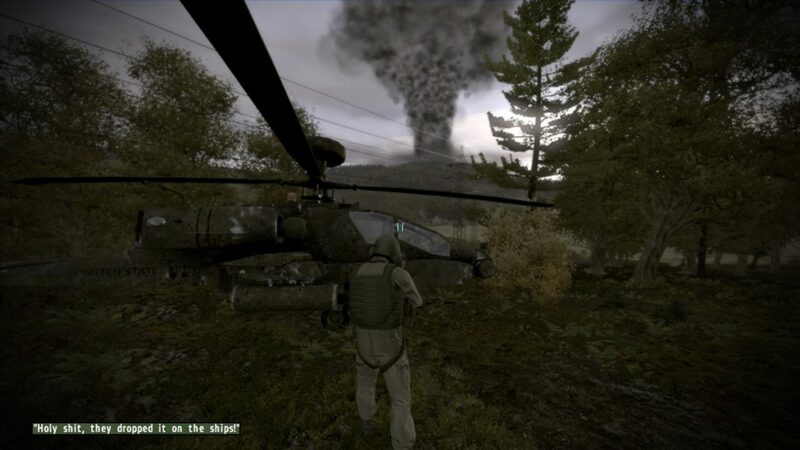 Of course, this being Arma, you will find yourself looting bodies to try to give yourself the best chance. 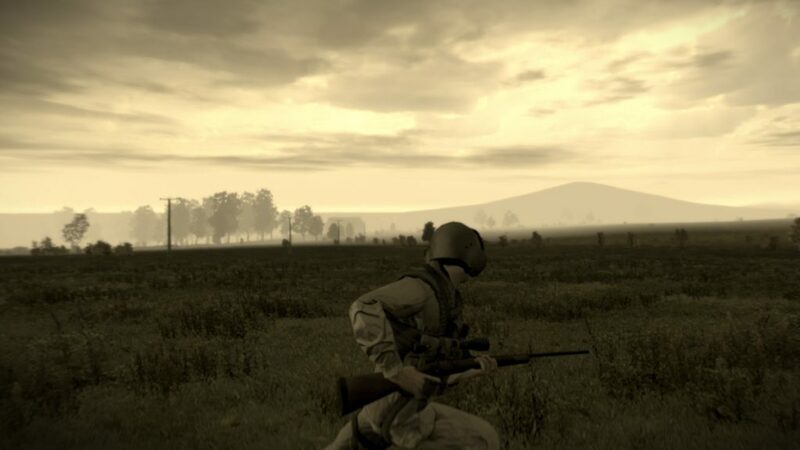 The enemy action comes at a pace that is extremely satisfying – not hordes or overwhelming numbers, but enough that your progress will likely be measured in offensive gains and defensive retreats to set ambushes and resupply. 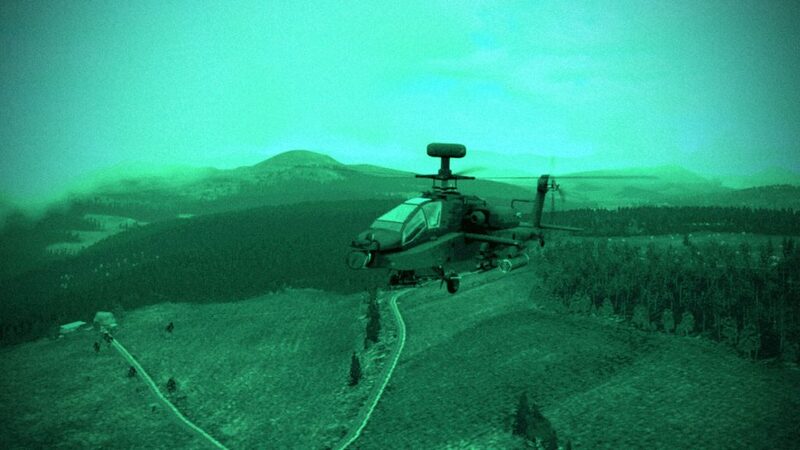 I am not a good first-person shooter player, but I had a fantastic time with the measured pace of this mission. The soundtrack, coupled with the beautiful wooded setting and lighting are movie-esque as you see figures moving between the gaps of the trees and you hope you see them before they see you. As you work toward your continuously updated mission objectives, you’ll find yourself making decisions that affect the overall campaign outcome. 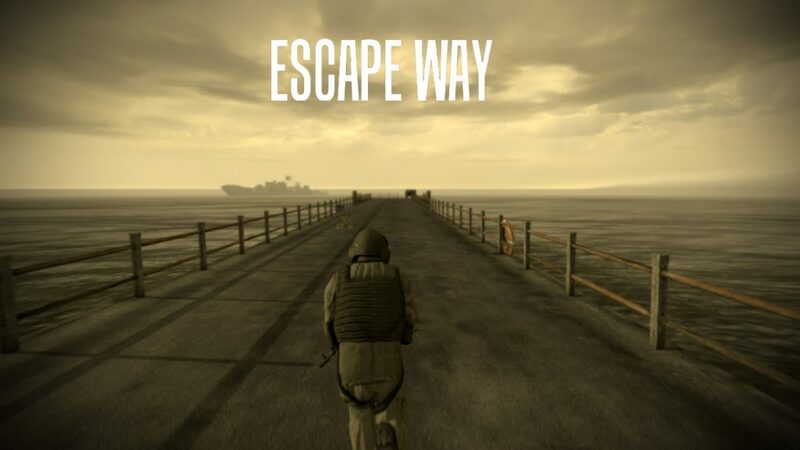 Toward the end of the campaign, you join up with Russian forces and fight your way through a gauntlet in an attempt to flee the island and the nuclear fallout that is presumably raining down on your head. The Russians make for a good ally – far more competent soldiers than me, and their medic came in handy quite a few times. 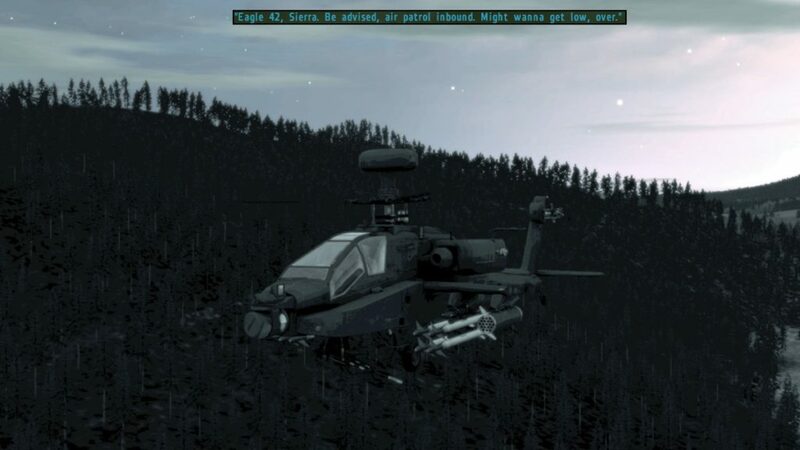 The end of the mission has some twists, some decisions to make, and ultimately plays out in a very interesting way. The overall execution of the campaign / extended mission is just fantastic. 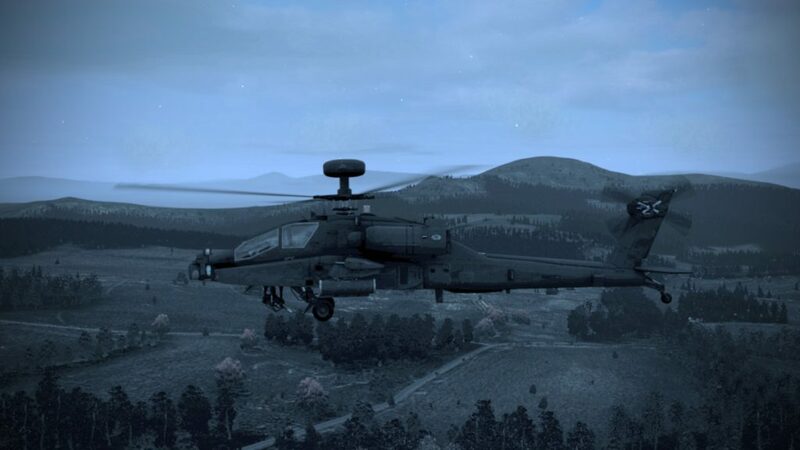 This isn’t the first time that an Arma mission with a deep and compelling storyline has reeled me in, but Eagle Wing definitely has some truly cinematic moments that make it a standout. 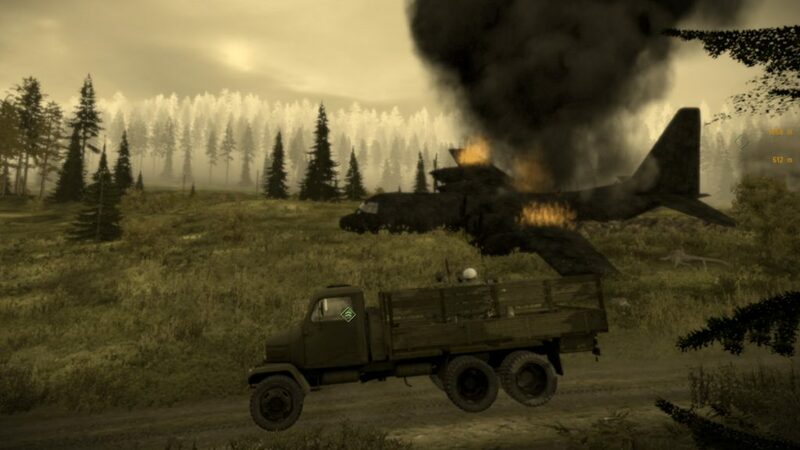 If you haven’t played it, I highly recommend it, and if you have any suggestions for similar missions, send them along. Next week…we look at a groundbreaking first person shooter called Doom. 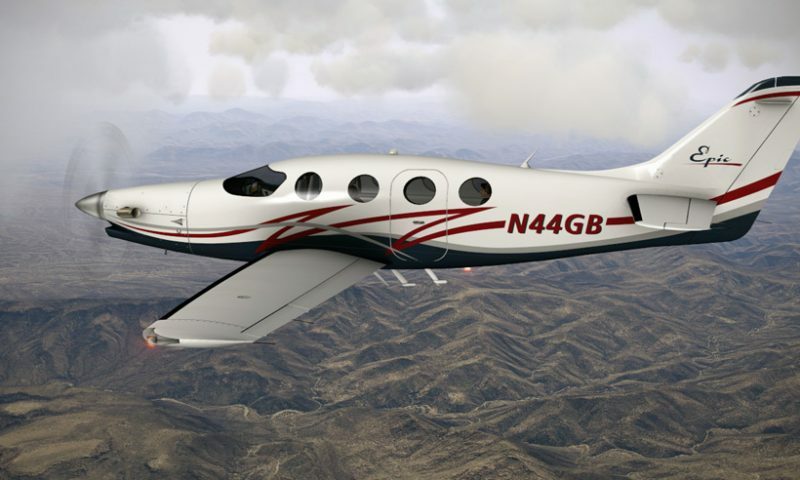 We think it will be a hit…! and the week after that… Pong!